Seats 30. D daily, 6-9.30 (Fri & Sat to 10pm). Early D €23 (6-7); also á la carte & vegetarian menus. Reservations advised; children welcome (high chair); air conditioning; toilets wheelchair accessible. 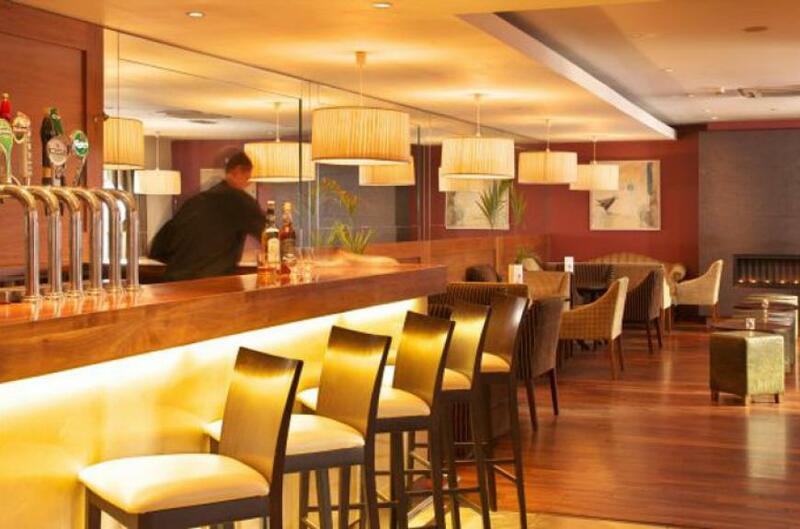 L & D daily from 12pm-9.30pm in the Café Lounge and Jasmine Bar. Closed to non-residents 24/25th December. Amex, MasterCard, Visa. 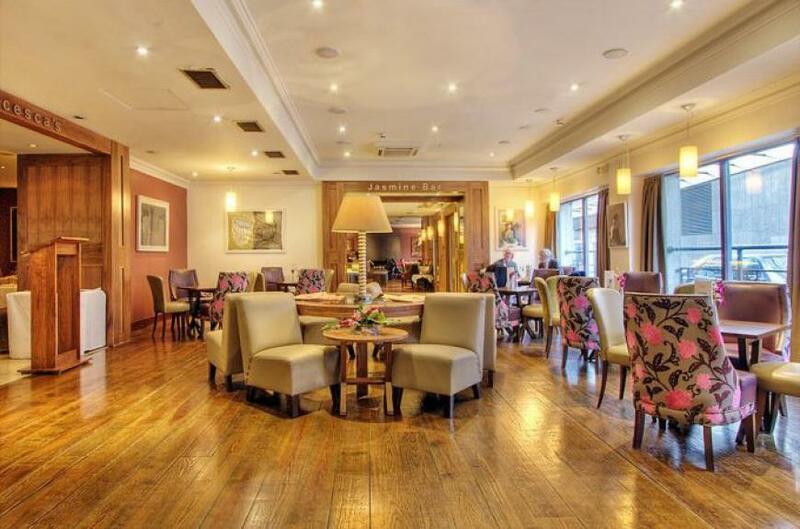 One of Dublin's most desirable addresses, especially for business guests, the Sinnott family's discreetly luxurious Dublin hotels a gem of a place - an oasis of calm just a couple of minutes walk from Grafton Street. A ground floor bar, lounge and restaurant all link together, making an extensive public area that is quietly impressive on arrival - the style is a pleasing combination of traditional with contemporary touches, using a variety of woods, some marble, wonderful fabrics and modern paintings - and, while a grand piano adds gravitas, there's a welcome emphasis on comfort (especially in the residents' lounge, where spare reading glasses are thoughtfully supplied). Efficient service ensures you are in your room promptly, usually with the help of Conor, the concierge, who never forgets a face or a name. All bedrooms have exceptionally good amenities, including a pillow menu (choice of five types) and well-designed bathrooms with power showers as well as full baths (some also have tile screen TV), and many other features. However there are some rooms which, while equally well appointed, are quite small - an understandable price to pay for the convenience of such a handy city centre location, perhaps. Boardrooms offer state-of-the-art facilities for meetings and small conferences, and there is a 26-seater screening room. For disabled guests there are elevators to all floors with rooms specifically designed to their needs with wet-room en-suites with roll-in shower and a fixed seat. 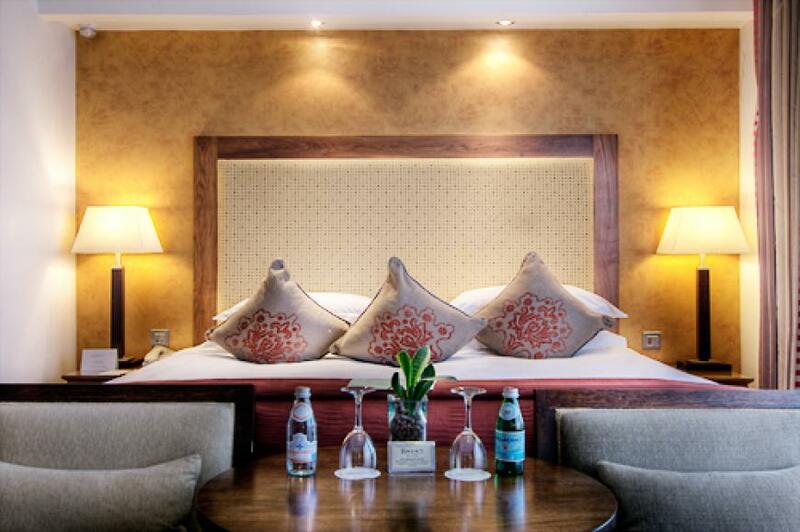 The rooms have low tea and coffee facilities, low hanging wardrobes and low base beds. Common areas are on the ground floor ensuring ease of access to all. There is also adequate designated parking adjacent to the hotel with elevators. Conferences/Banqueting (50/60), business centre, free broadband wi/fi. Rooms 98 (1 suite, 2 junior suites, 4 executive, 87 no-smoking, 2 disabled); children welcome (under 7s free in parents' room; cots available without charge, baby sitting arranged). No pets. Lift. Air conditioning throughout. 24 hr room service. B&B €80pps, ss €100. Fitness suite & sauna. 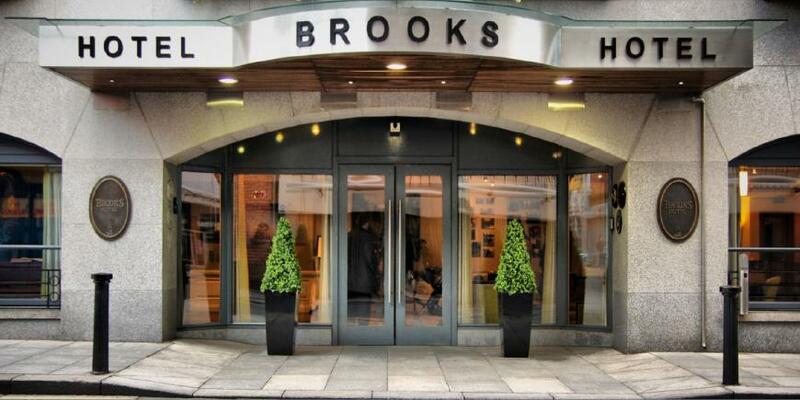 *Special breaks offered - details on application. Arrangement with car park. Open all year. Pre-dinner drinks are served in a lovely little cocktail bar, Jasmine, and the restaurant has a youthful contemporary look, and a welcoming ambience - an open plan kitchen has well positioned mirrors allowing head chef Patrick McLarnon and his team to be seen at work. This Dublin restaurants tables are elegantly appointed with classic linen cloths and napkins, and waiting staff, smartly attired in black, look after customers with warmth and professionalism. Patrick sources ingredients with great care (wild salmon, organic chicken, dry aged steak, wild boar sausage), his cooking is generally imaginative - and there's a strong emphasis on fish and seafood. Unusual meat dishes may include a starter of McGeough's air-dried Connemara lamb (subject to availability) and a main course of pan-fried Finnebrogue venison. Finish, perhaps, with a zingy home-made lemon tart served with a delicious strawberry or raspberry sorbet and a classy individually packed infusion, or coffee. A nice wine selection includes good quality wines available by the glass. The early dinner offers good value, and breakfast offers a wide variety of juices, cereals and nuts, yoghurt, pastries, meat, cheeses and fruit. A good range of hot dishes includes pancakes with maple syrup, kippers with poached egg and full Irish breakfast as you like it, although service can be slow. Near St Stephen's Green, between Grafton and Great St. Georges Streets; opposite Drury Street car park.